The Best Tinnitus blogs from thousands of top Tinnitus blogs in our index using search and social metrics. Data will be refreshed once a week. 2.3 AudioNotch | Tailor-Made Notched Sound Therapy For The Treatment Of Tinnitus. Tinnitus newsletter is a comprehensive summary of the day's most important blog posts and news articles from the best Tinnitus websites on the web, and delivered to your email inbox each morning. To subscribe, simply provide us with your email address. Rockville, MD About Blog Read about the latest medical research on tinnitus. Find out about new treatments. Facebook fans 1,759,375. Twitter followers 215,302. San Francisco, CA About Blog r/tinnitus is a place for community help and general discussion about tinnitus. Share your experiences with others who can relate. Tinnitus is the hearing of sound when no external sound is present. Facebook fans 1,152,796. Twitter followers 513,165. 3. AudioNotch | Tailor-Made Notched Sound Therapy For The Treatment Of Tinnitus. Toronto, Canada About Blog The latest research, news, and developments in tinnitus and tinnitus treatment. Facebook fans 661. Twitter followers 48. London and across the UK About Blog Commentary on the latest tinnitus news and research developments, case studies and other updates from The Tinnitus Clinic. Facebook fans 1,180. Twitter followers 760. About Blog If you suffer from Tinnitus there is so much hope. Rewiring Tinnitus is an exploration of treatment strategies that work. It's time you found relief. Facebook fans 691. Twitter followers 12. UK About Blog The British Tinnitus Association's vision is a world where no one suffers from tinnitus. Supporting the 1 in 10 people with the condition. Facebook fans 9,335. Twitter followers 8,571. Ireland About Blog We are specialists in hearing loss and hearing aids in Ireland. We provide digital hearing aids & free hearing tests at your local Hidden Hearing clinic. Facebook fans 9,356. Twitter followers 1,155. Dublin City, Ireland About Blog At Restored Hearing, we aim to change the way the world hears by ridding it of avoidable hearing damage. Facebook fans 16,452. Twitter followers 3,267. Silicon Valley About Blog We treat and test for tinnitus, hyperacusis and auditory processing disorders. It is important for us to be sure your experience at our clinic is a positive and enlightening experience. Sunnyvale, CA About Blog Established in 1997. Landmark Hearing Services: Owned by Dr. Sandra Wendschlag since 1997. Learn about hearing loss, tinnitus, hearing aids, hearing health and much more on audiology blog. London About Blog An inspiring blog about crippling tinnitus, hyperacusis and sudden onset hearing loss. It gives hope and shows how serious illness can transform your life for the better. Facebook fans 139. Twitter followers 10. About Blog Don't suffer from Tinnitus (Ringing Ears) anymore. We practice a highly successful therapy to cure Tinnitus through Tinnitus Cognitive Therapy. About Blog This blog is for tinnitus sufferers, tinnitus researchers, and friends and family of tinnitus sufferers. The goal is to raise awareness about tinnitus and to promote ideas that may help to lead to a cure. There is no cure for chronic severe tinnitus that is caused by non-regenerative cochlear cell damage. However, there are ways to manage tinnitus and the secondary conditions that tinnitus causes. Hemsworth, England About Blog Understanding Tinnitus was founded around 2 years ago, we are a Charitable Organization that helps those affected by Tinnitus. Our main aim is to help people affected understand more about the condition and share positive factual information. Facebook fans n/a. Twitter followers 2,078. About Blog A blog about tinnitus support. Facebook fans 10,713. Twitter followers n/a. 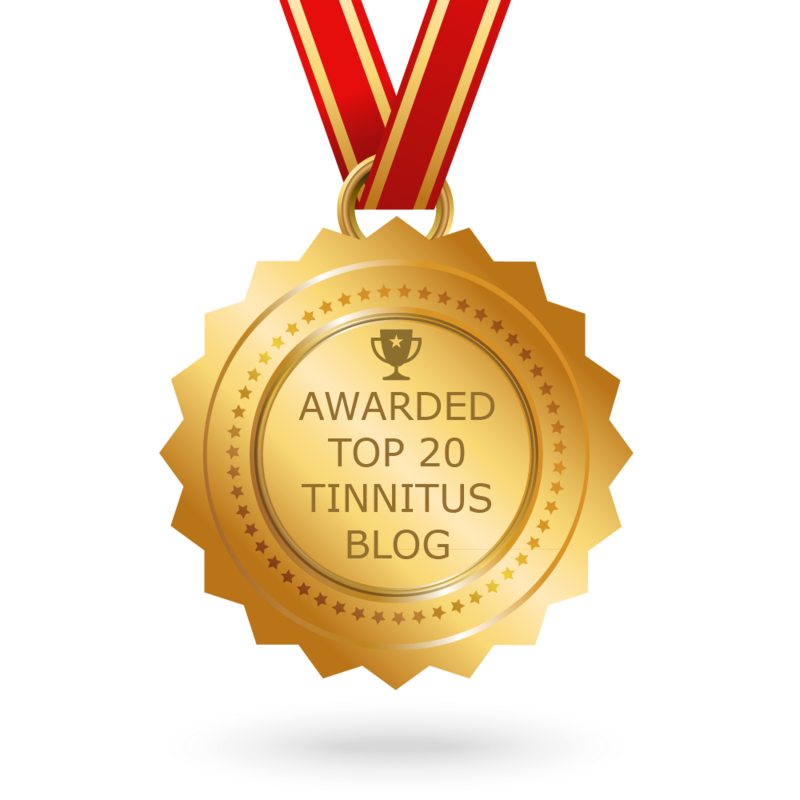 CONGRATULATIONS to every blogger that has made this Top Tinnitus Blogs list! This is the most comprehensive list of best Tinnitus blogs on the internet and I’m honoured to have you as part of this! I personally give you a high-five and want to thank you for your contribution to this world.